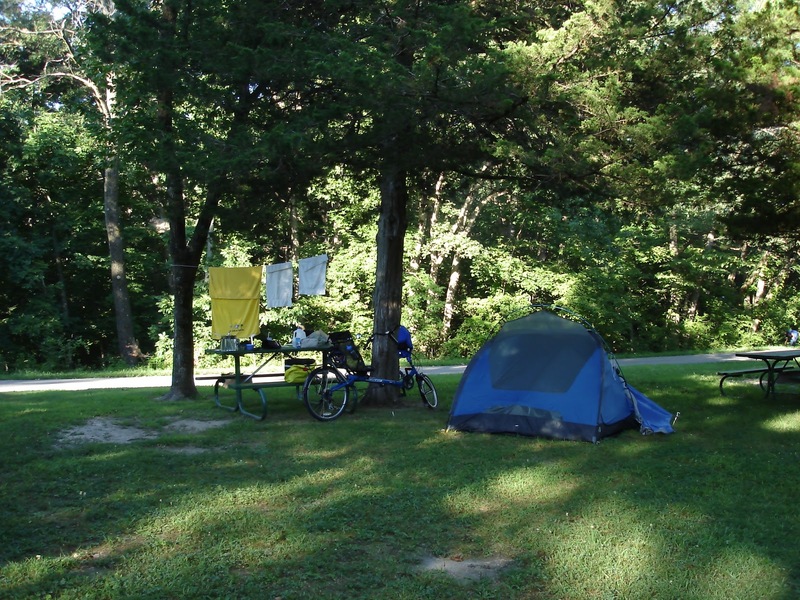 Yes, it was our first overnight trip by bicycles, and we were traveling just twenty-five miles to the second-oldest state park in Iowa. It was 2010. We were excited, and we had a successful, enjoyable trip. Now, three years later, mu wife and I are at mid-March, waiting for the weather to change so we can make up for our lapse of three years. Created as a state park in 1921, the park has 1,653 acres of varied terrain--hills, bluffs along the Des Moines River, and woods and prairie meadows. We enjoyed hiking the trails, swimming in the lake, and the modern facilities in the campground. We also traveled the two miles to the county seat of Van Buren County, Keosauqua (population a little over 1,000) for lunch. 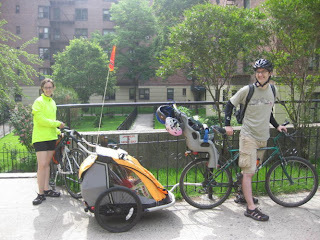 Two overnight bike trip journals were those of Alexandra Greene and of Jackie Sindrich, both bike camping in New York. Alexandra and her husband traveled overnight with the two small children. It was a first-time adventure that included fun and some pain from their lack of experience. 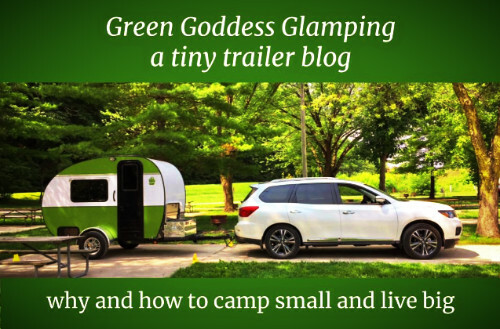 Their 75-mile trip (37.5 each way) taught them to not take too much, to plan meals more carefully, to understand that Google maps don't include elevation, and to realize more the special needs of traveling with young children. Jackie traveled solo there and back a total of 112 miles along Lake Erie. Her experience was different--less baggage and less to worry about. She was also traveling some territory that she was familiar with. What I like is how she didn't worry about equipment so much, using a $30 tent and a pool-floatie "sleeping mattress." 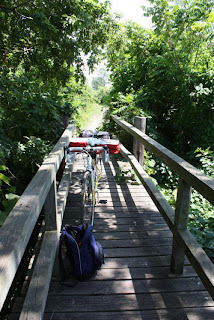 She carried the camping equipment on a rear rack, secured by bungees, and all her personals in a small knapsack. I've enjoyed reading journals of all lengths of trips on Crazy Guy on a Bike, from multi-year around-the-world trips to day biking. However, the first-time journals are interesting because as a novice I can learn from others' experiences. For instance, both of the above journals mention to bring bug spray!